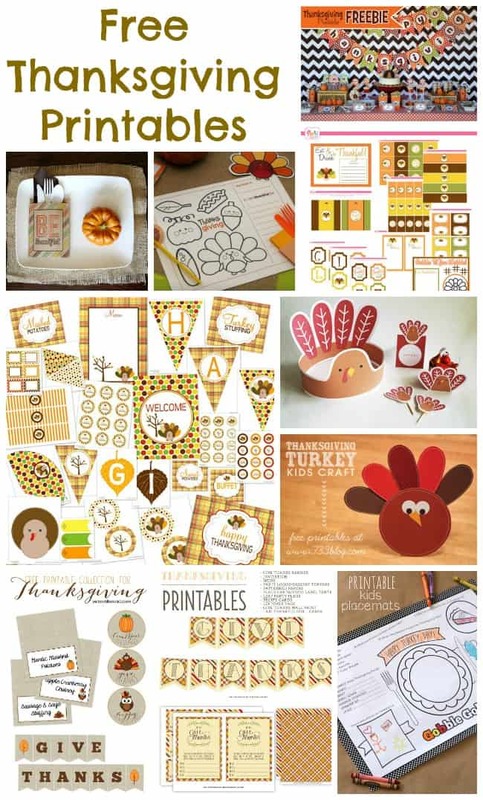 Thanksgiving Fun - Recipes, Crafts, Party Ideas & More! I live in Canada so we celebrate our Thanksgiving in mid-October but there’s nothing wrong with eating some more pumpkin pie at the end of November to celebrate with our US friends! On this page, I’ll give you a sneak peek at all the Thanksgiving content we have here on Moms & Munchkins. Get ready to drool because there are a lot of delicious recipe ideas here! Planning a special celebration at home this year? 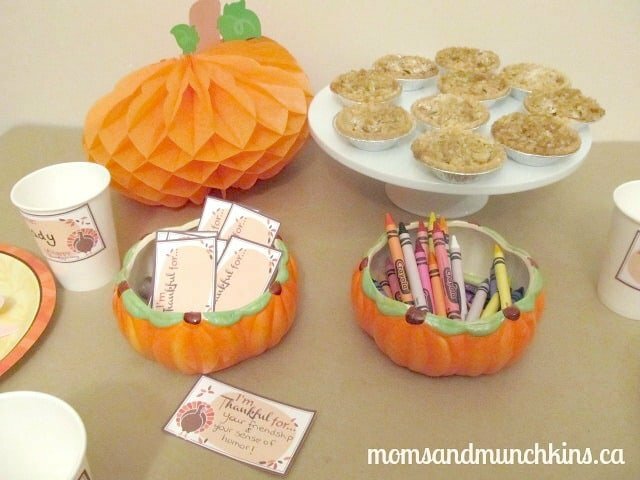 Here are some fun Thanksgiving Party ideas. 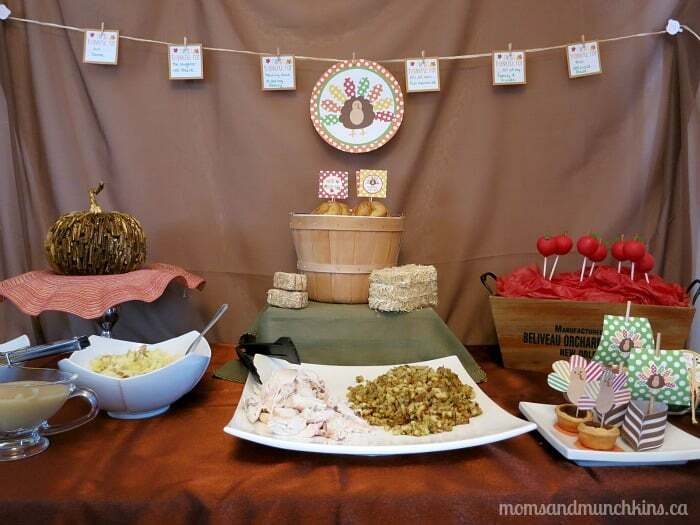 Dawn has some clever ideas for helping us plan the Ultimate Kids’ Thanksgiving Table! 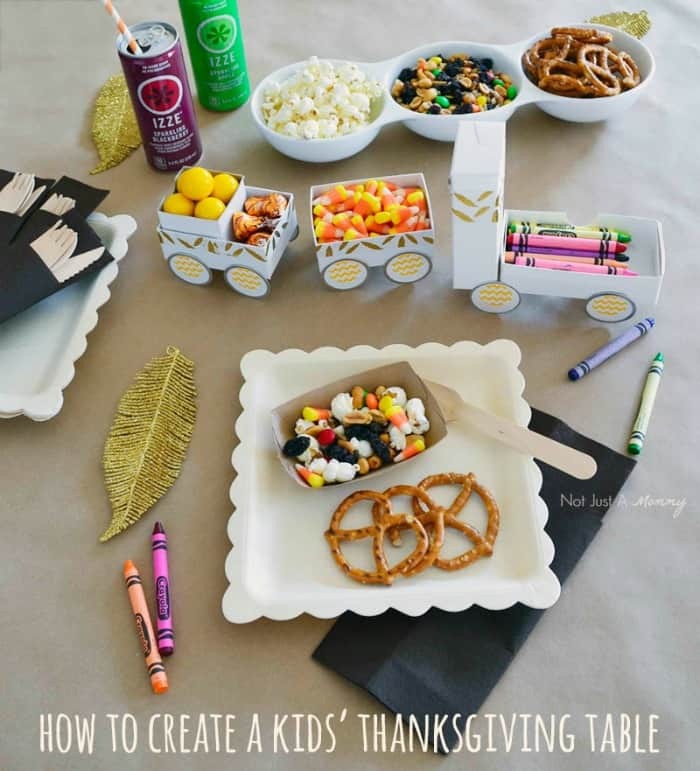 There are so many fun & free printable ideas in this Thanksgiving table for kids post. 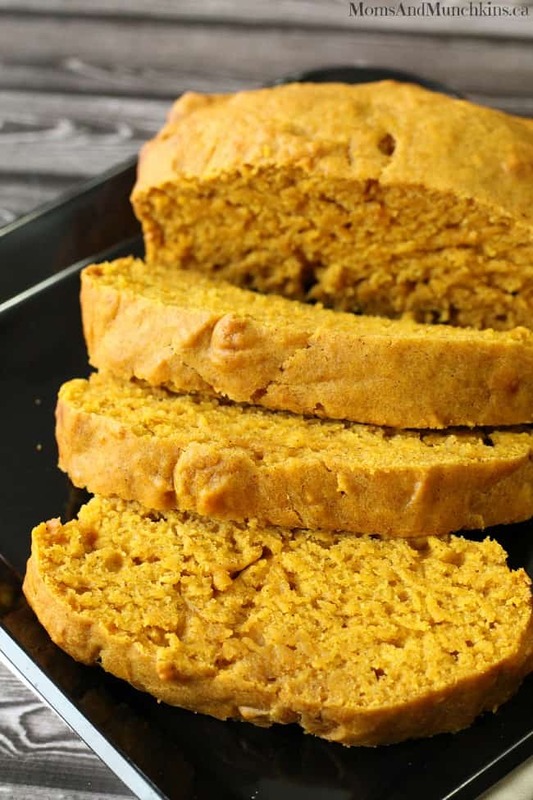 My son calls this pumpkin loaf “pumpkin cake” and he asks for it almost daily. It’s really easy to make and toddler-approved! 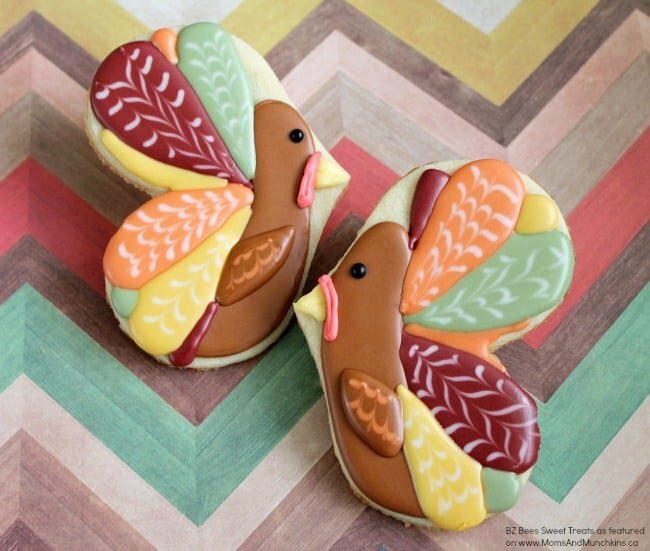 All ages will love these cute Turkey Cookies! 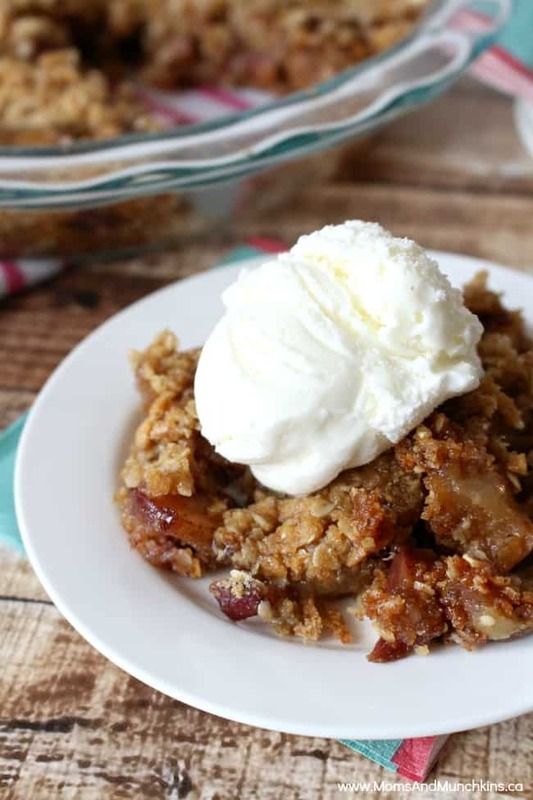 This Caramel Apple Crisp Pie is the ultimate Fall dessert! 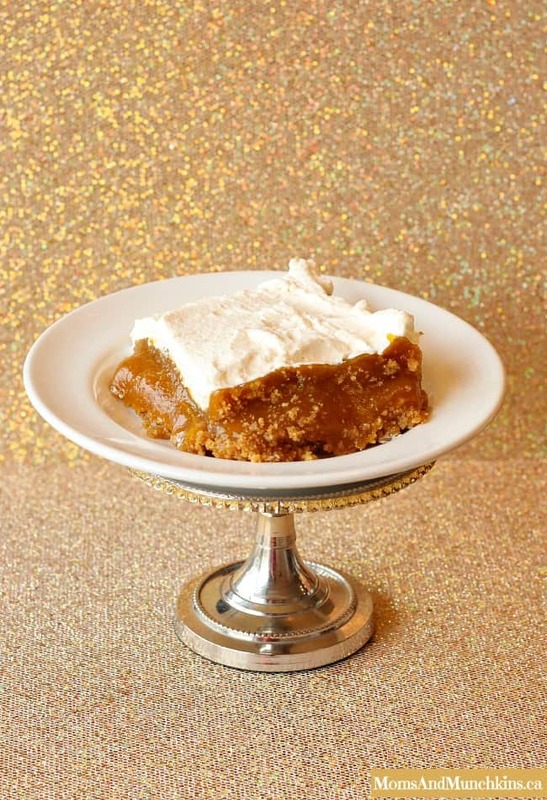 This pumpkin dessert is a Thanksgiving family tradition in our house. 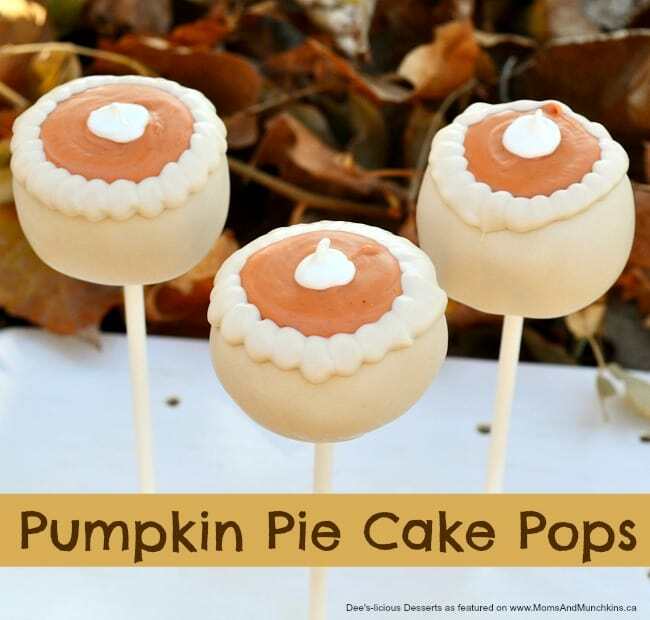 These Pumpkin Pie Cake Pops are adorable! Deanna walks us through the steps for making these adorable treats that all ages will love. Anyone care for a Pumpkin Spice Latte? 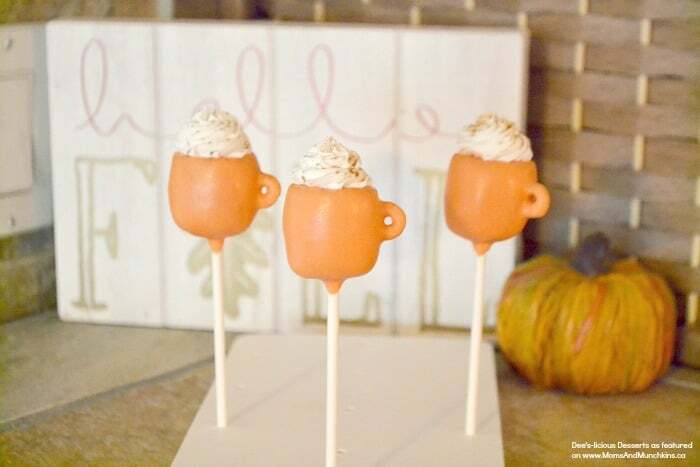 How about these adorable themed cake pops by Deanna! 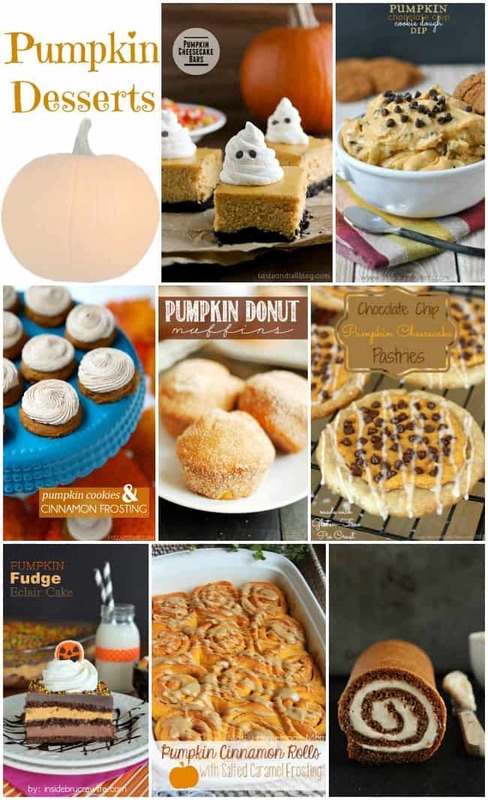 Thanksgiving wouldn’t be the same without pumpkin desserts and we have a large collection of mouthwatering pumpkin desserts from talented bloggers & bakers. Looking for even more pumpkin sweets? 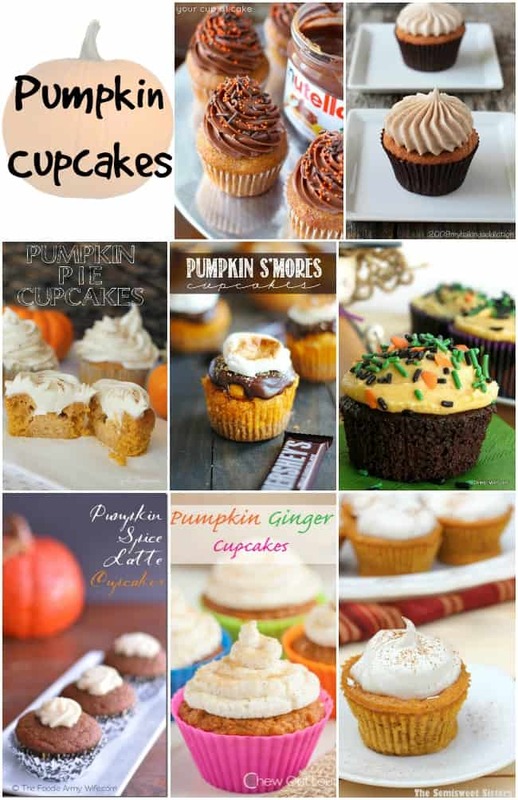 Check out this delicious collection of pumpkin cupcake recipes. Cuteness overload alert! 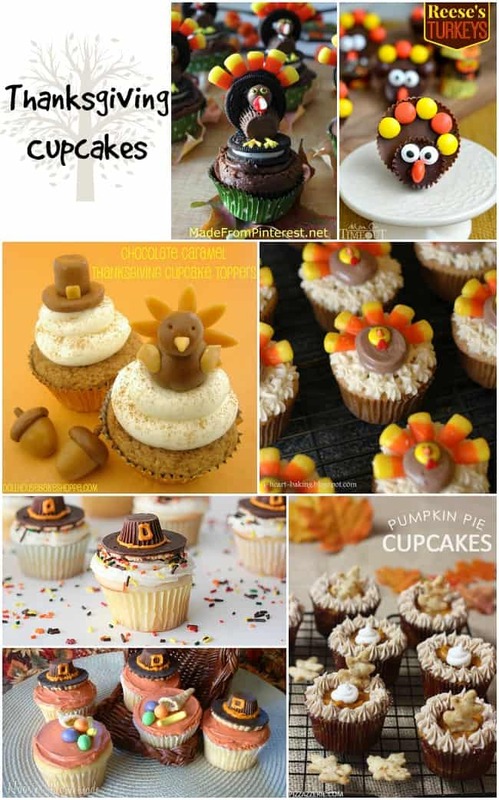 Here are some adorable Thanksgiving cupcakes that all ages are sure to love. 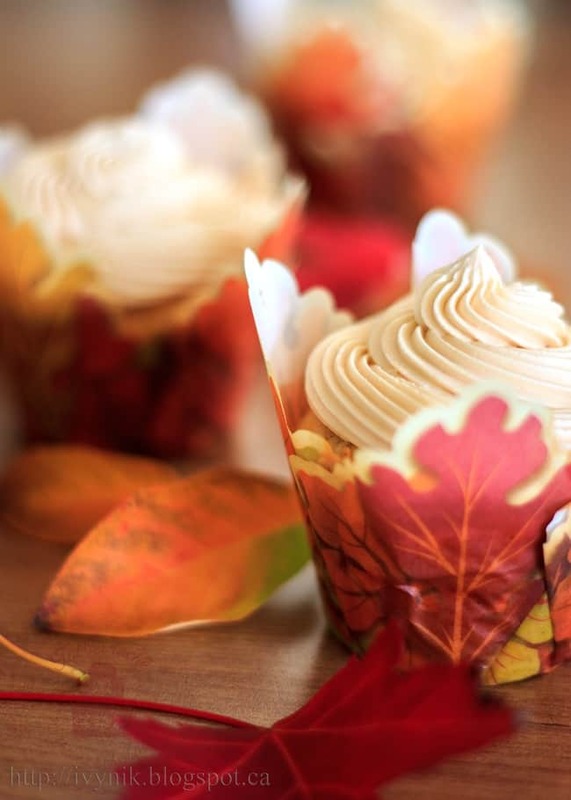 These Butternut Squash Muffins with Caramel Buttercream are perfect for Fall entertaining! 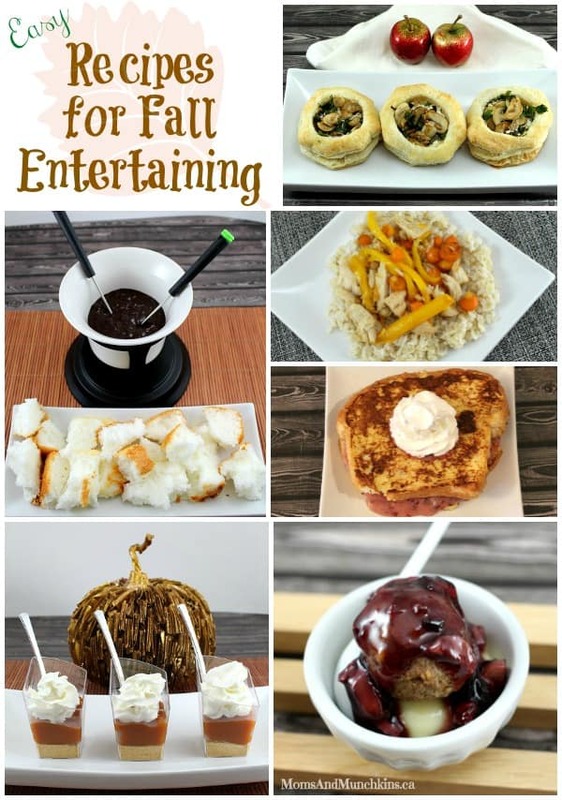 If you plan on entertaining this Fall season, you’ll want to check out this collection of Fall entertaining recipes. All of these take less than 15 minutes to make and have 5 ingredients or less. 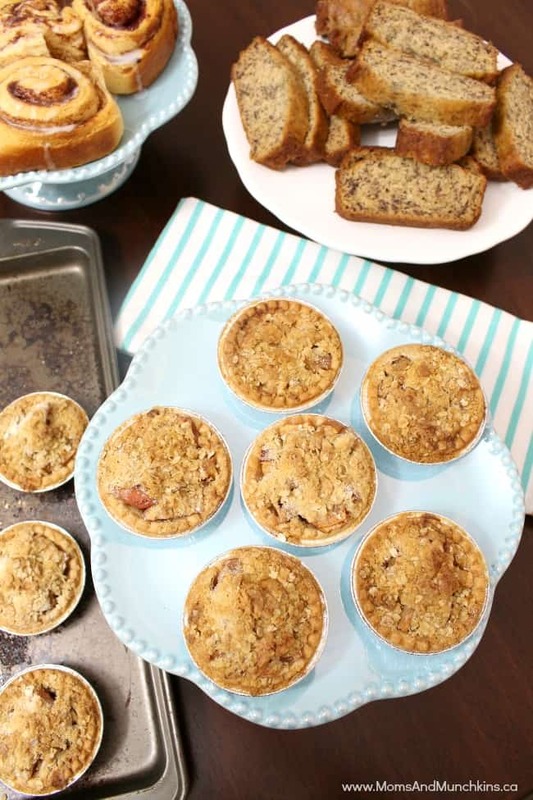 Kids will love these mini apple pies. Expecting house guests this holiday season? 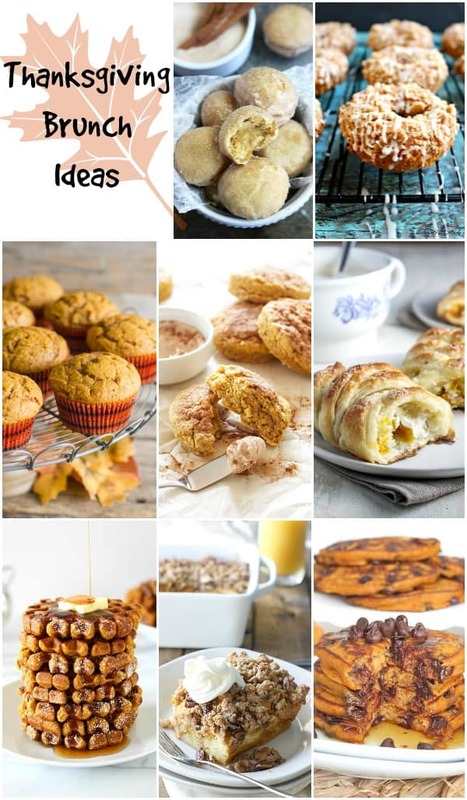 Then you’ll want to check out this collection of Thanksgiving brunch ideas. 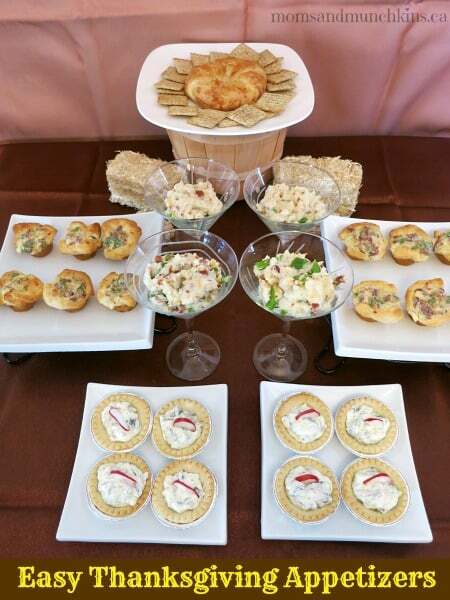 Now that you’re all craving desserts, let’s hop back over to Thanksgiving appetizers. 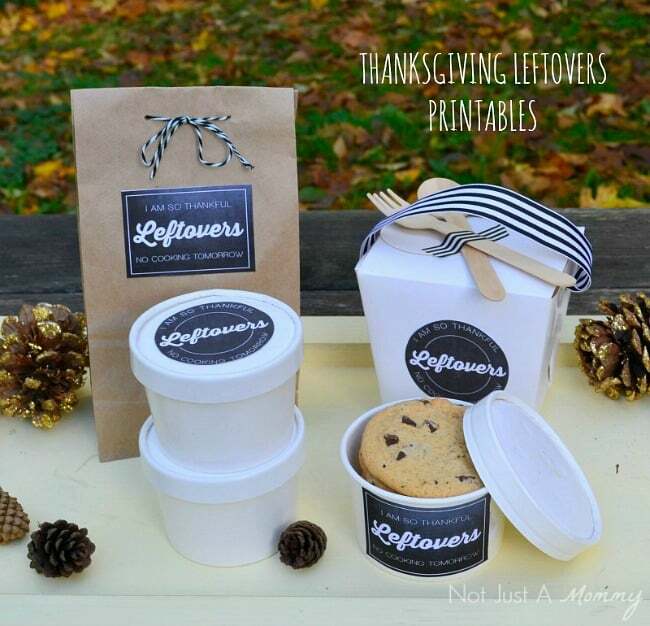 When you’ve finished your big meal, send home some leftovers with these adorable Thanksgiving leftover printables by Dawn of Not Just A Mommy. This Thanksgiving Word Scramble is a quiet game kids can play while you are preparing your feast. 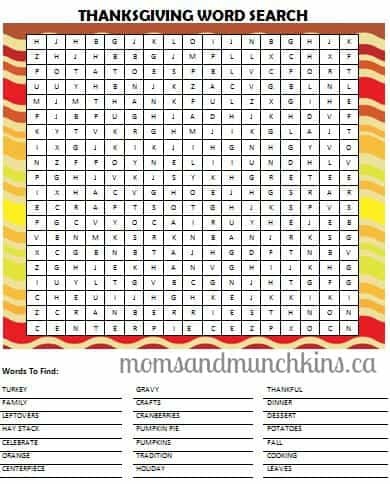 Another quiet Thanksgiving game is this free printable Thanksgiving Word Search. These Thanksgiving activity placemats will keep the little ones busy while you cook & entertain. These Free Thanksgiving Printables include all the printables you’ll need for decorating your home, displaying your food and entertaining the kids. 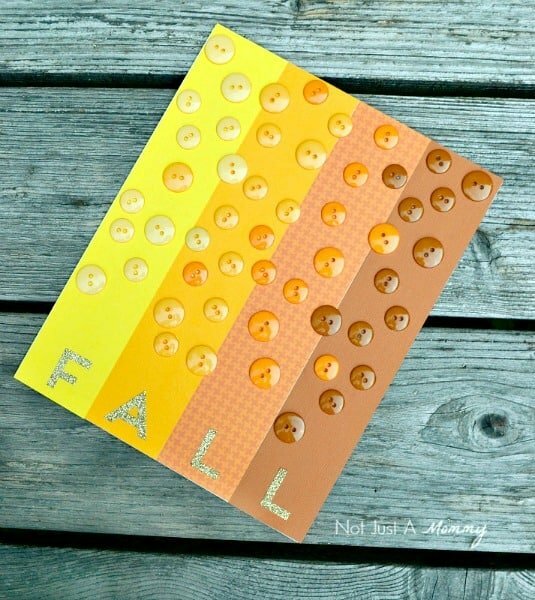 This Fall Button Board craft is a great activity that all ages can help with.